However, there are many other reasons for church decline that can be avoided. This book's focus is on resolving problems, recognizing opportunities and avoiding common mistakes when your church actually has control over situations. 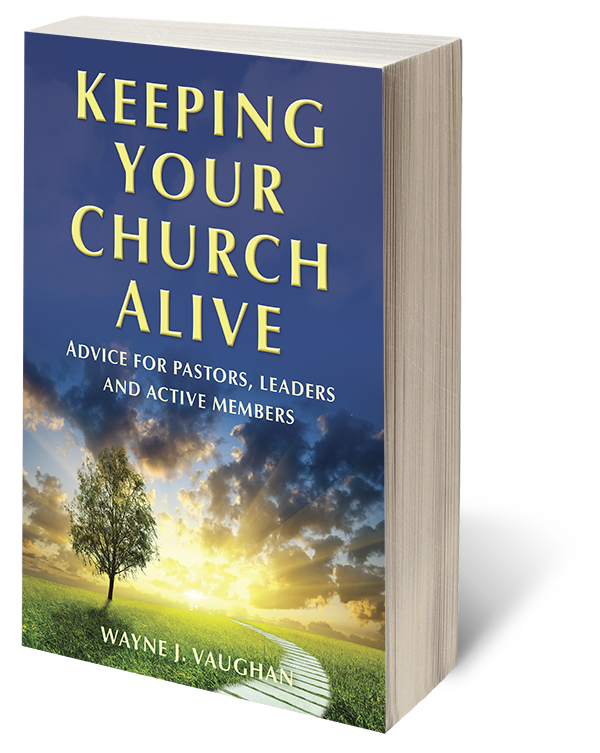 Drawing from personal experience in church leadership roles as well as honest discussions with other churchgoers - author Wayne J. Vaughan has written Keeping Your Church Alive: Advice for Pastors, Leaders and Active Members. Focusing on common, preventable issues this book provides answers to challenges that often confront churches. working together to spread the Good News of the Christian life. Learn how to use your God-given gifts to make your church the vibrant, loving, and successful house of worship God intended them to be. If you are ready to begin your journey to live the life of ministry God intended for you, Keeping Your Church Alive should be the first step. Become a God pleaser rather than a people pleaser. Brother Wayne Vaughan is available is available to provide online training assistance and phone consultation on any of the topics discussed in this book. You can contact Wayne at wjvaughan14@gmail.com. May God bless you in your service to our Lord and Savior Jesus Christ.